Ocean Protocol is an ecosystem for sharing data and associated services. It provides a tokenized service layer that exposes data, storage, compute and algorithms for consumption with a set of deterministic proofs on availability and integrity that serve as verifiable service agreements. It intends to create decentralized data markets, and incentivize the creation of a global data commons by rewarding data providers, data curators, and data keepers. The Ocean Protocol network is powered by its own native cryptocurrency token called OCN. 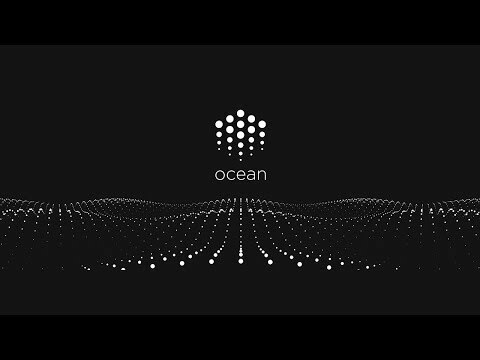 In 2017 Bruce Pon, Christina Pon, Don Gossen, Chirdeep Singh, Trent McConaghy, Daryl Arnold, Dimitri De Jonghe, and John Enevoldsen founded Ocean Protocol. Bruce Pon, Co-Founder - How will the Ocean token distribution work? Data Marketplace is a platform for buying and selling personalized data online.